Preheat the oven to 350°F. Roll out the crescent rolls on a greased baking sheet. 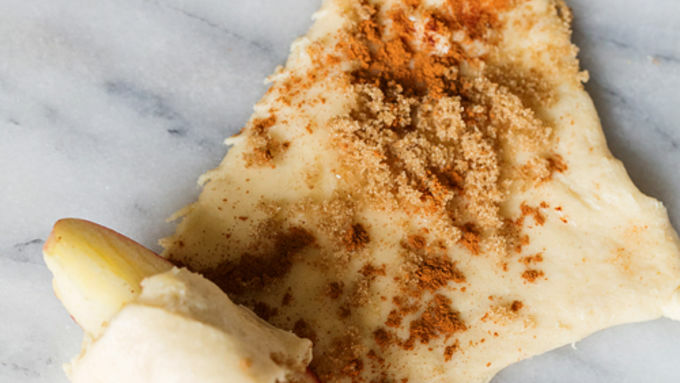 Brush with melted butter, then sprinkle with brown sugar and cinnamon. 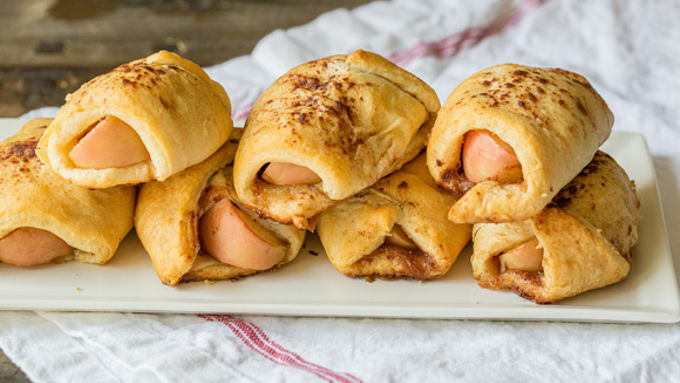 Place an apple slice at the wide end of the crescent roll, and roll up the apple inside the crescent. Repeat until all the rolls are rolled up, then brush more butter on top and sprinkle them lightly with cinnamon. Cool and serve with vanilla ice cream, if desired. 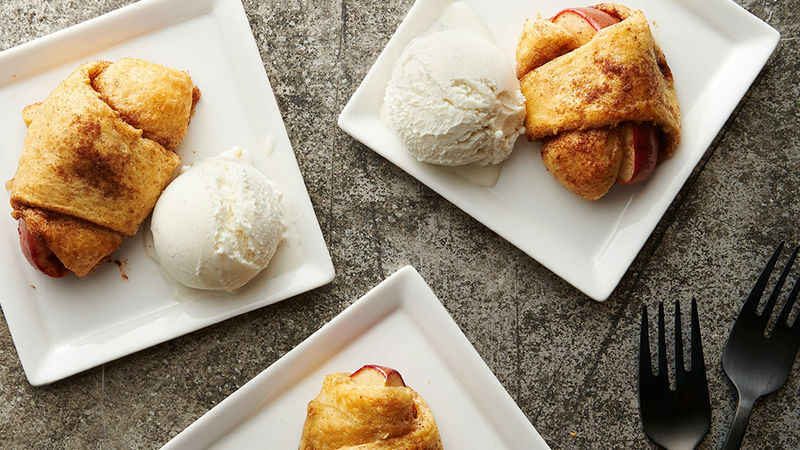 Don't mistake these Apple Pie Crescent Bites for “pigs in a blanket!” These irresistibly easy dessert bites are oh-so-yummy and nothing short of a sensational sweet treat. The best part is that they're actually quite simple to make. These are also great for year 'round get-togethers, as they're perfect for fall but also make a wonderful warm-weather treat! I like that the bites are easy to grab and eat, making them a very desirable party food for us hostesses. You can serve them plain or if you're feeling extra sweet, serve them with ice cream. Oh my, you won't be disappointed! What a great dessert!